This book brings the powerful insights of Continental philosophy to bear on some of the most challenging difficulties of ethical life. Currently philosophy is being radically transformed by questions of how to live well. What does such a way of life mean? How are we to understand the meaning of ethicality? 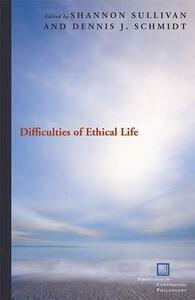 What are the obstacles to ethical living? And should we assume that an ethical life is a "better" life? The movement of history and the developments of culture and knowledge seem to have outstripped the capacity of traditional forms of reflection upon ethical life to understand how we might answer these questions. Ranging from existentialism to deconstruction, phenomenology to psychoanalytic theory, and hermeneutics to post-structuralism, the twelve essays in this volume take up a wide but clearly connected set of issues relevant to living ethically: race, responsibility, religion, terror, torture, technology, deception, and even the very possibility of an ethical life. Some of the questions addressed are specific to our times; others are ancient questions but with quite contemporary twists. In each case, they concern the philosophical significance of ongoing historical, cultural, and political transformations for ethical living and thinking.